On the day Berlin was conquered by the Soviet troops, 2 May 1945, when the defeat of Nazi Germany was already irreversible, the last and historically largest execution took place in Terezín’s Gestapo police prison. Six days before the Red Army arrived in Terezín, 51 mostly young members of leftist resistance groups were killed by the order of the Prague Gestapo. The death of a number of them was directly caused by confidential agents working with the German Gestapo, without whose aid it would have been difficult for the Nazi secret police to penetrate the secrets of the Czech resistance movements and subvert the activities of resistance fighters. The informer network began to be built by the occupying forces mostly from 1942. A prominent role in it was played by Jaroslav Fiala, whose activity actually attracted attention of (the prominent Nazi official in Czechoslovakia) K. H. Frank himself. Fiala was arrested at the end of the war due to his attempts to acquire an alibi for his actions and on 2 May 1945 he was executed in the Small Fortress along with many of those whose fates were affected by his work as a Nazi informer. There were thus 52 people executed in all, Fiala can however hardly be counted with the Nazi resistance fighters that this article deals with. Several of the 51 victims were more or less active in the resistance movement for years, but only came to direct contact with the machinery of oppression during the summer and autumn of 1944, or at the beginning of the last year of the war. A characteristic trait of the resistance movement in the last years of occupation was the tendency to unite separate resistance groups and make them answer to single command which would coordinate all activities during the final confrontation with the enemy. 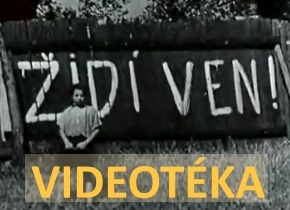 The illegal Communist Party of Czechoslovakia was one of the organizations active in these endeavours and many of the victims of Terezín’s last execution were, whether they were aware of it or not, connected to the party. Before they were brought to the Small Fortress and rounded up in yard IV, they for the most part had not met before. With the end of war approaching and liberating armies advancing toward the Czech territory, the Nazi “scorched earth” policy also became dangerously close. It involved destruction of important values, objects and equipment, including evacuation of concentration camp and prison inmates to areas further removed from the front line. The Gestapo command in Prague which was in charge of the Terezín police prison acted on these instructions. By the order of K. H. Frank and leaders of the Prague Gestapo, a list of particularly dangerous prisoners was worked out and a “XYZ” note was added to their names. This abbreviation stood for elimination of the selected individuals without formal trial for which the Nazis did not have the time in the spring of 1945. Frank’s initiative in this matter demonstrates among other things his ruthlessness and his well-known hatred towards everything Czech, as his order was in direct contradiction of the order of the head of the Berlin RSHA (Reich Main Security Office), Ernst Kaltenbrunner. Based on testimonies of Nazis given after the war, Kaltenbrunner visited Terezín in late April 1945 and prohibited any executions of prisoners. On the fateful second day of May, Prague Gestapo officials arrived at the Small Fortress with a list of roughly 70 prisoners marked XYZ, who were then rounded up from their cells in yard IV. None of the expected what was to follow in the coming moments, on the contrary, they believed they would be set free, as the day before that a group of inmates suffering from tuberculosis left the prison. It was only the sounds of shooting heard from the place of execution that alerted them to the actual purpose of their being called out and the remaining prisoners did not react when their names were shouted out and hid among other prisoners. Thus, around 20 people saved their lives. There are very few authentic data on the actual course of the execution, or rather murder without any judicial decree that went on for two hours. There were three women among those executed, the youngest victim was 18 years old, the oldest 57. The bodies were cremated in the crematorium of the Litoměřice concentration camp. Today, the ashes are kept beneath the main column of the National Cemetery in front of the Small Fortress. The tragedy of the executed is underlined by the fact that the guards and SS men left Terezín only three days later.